Tiburon Fine Dining has quietly become one of Utah's premier restaurants. 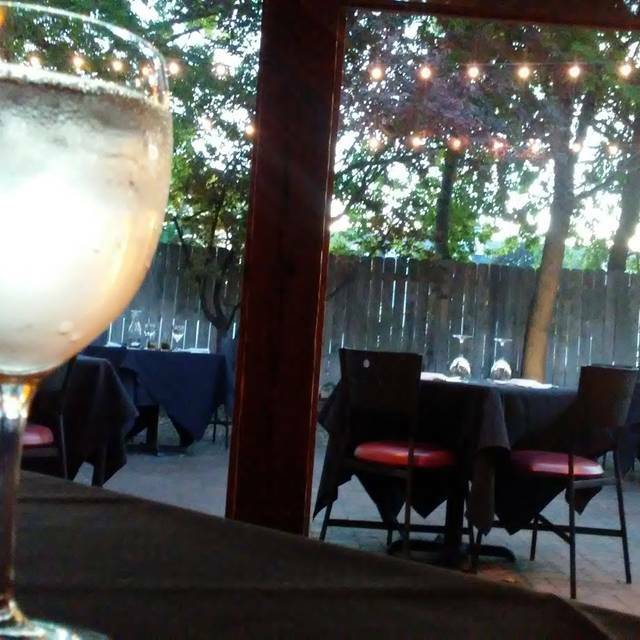 Tiburon is located in the south end of the Salt Lake valley in an unassuming building that formerly housed a fruit stand. But don't be fooled, Tiburon serves award-winning contemporary American cuisine ranging from pan-seared Beef Tenderloin with Foie Gras and Madiera syrup to Black Sesame-Crusted Ahi Tuna with Honey and Soy Marinated Carrots. 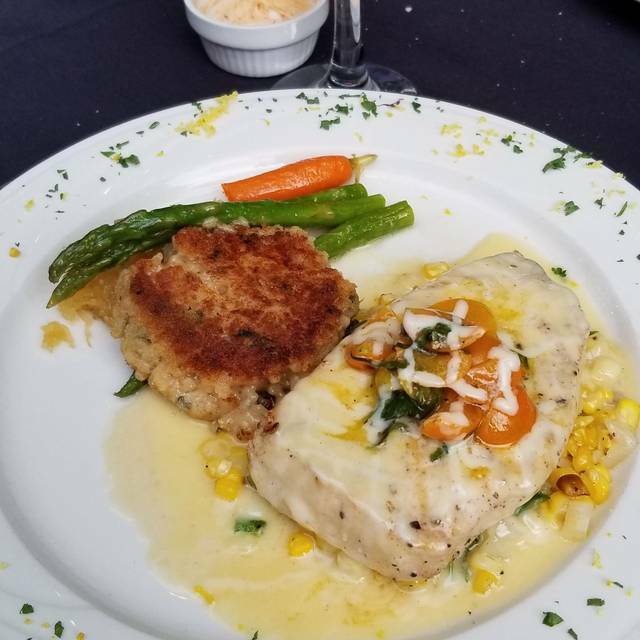 The Crab Cakes consistently win best in the state and the salads are raved about by the locals. But it does not end with the food, service is always top-notch. Led by a staff that has been with owners since its opening in 1999, guests always feel welcomed in the warm and friendly atmosphere. And in the Summer with it's patio dining. 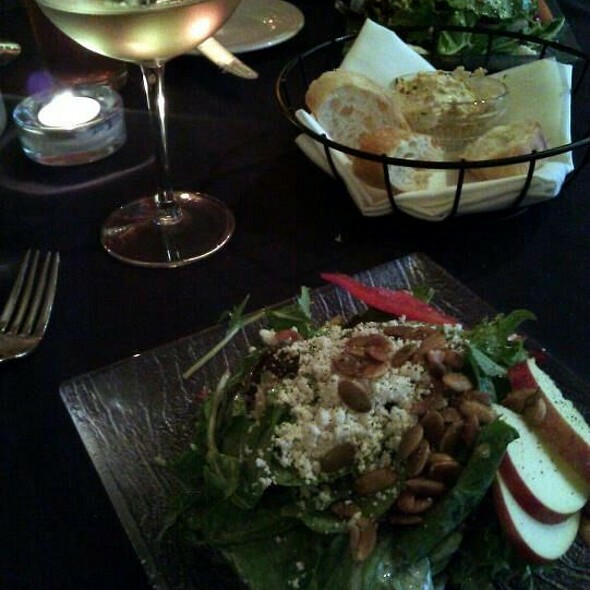 Tiburon is the place to dine in the South Valley. 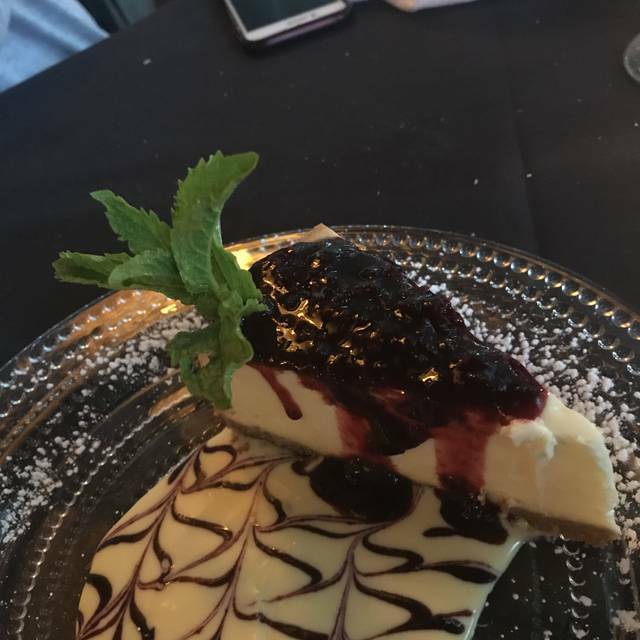 The food and service were excellent! Our server paced cocktails, appetizers, salads, and entrees perfectly. 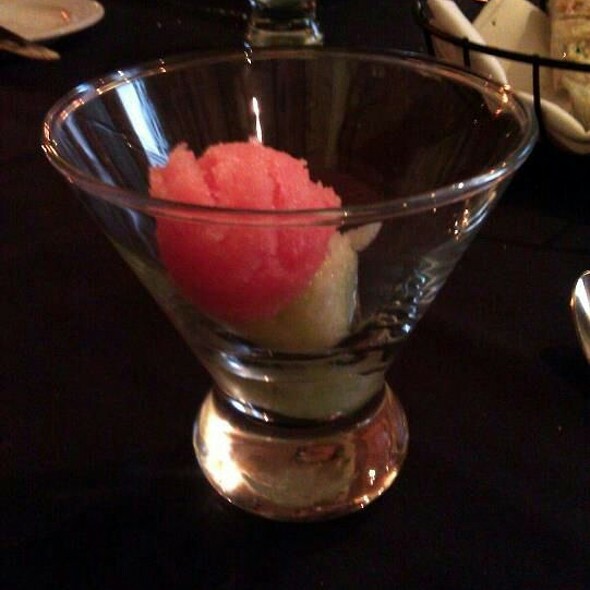 It was a fine dining experience. Very nice place for a fine birthday dinner. All of the staff at the Tiburon were friendly and helpful. Kinsey, our waitress was darling. We really enjoyed our evening there. Service was wonderful, food even better. Such nice touches - fresh salad, surprise palate cleanser sorbet, friendly servers. Wonderful dinner! Excellent all around. Christa was fabulous! food Is outstanding and a good value because salad is included and a sorbet after the salad and before the main meal. portions are generous. they could update the décor a little bit. and we were in the back patio and the metal chairs are so noisy if moved and so heavy. music was loud when we came in but right away the waitress told us she was going to lower it and she did. so it was pleasant. we love it in the summer when you can eat in the garden. we have gone to eat there several times and were never disappointed. wine and cocktails are reasonable priced. we will be back. Everything I hate - from the yummy spread that came with the bread, to the flavorful salad, to the between-course sorbet (all of which come included with the meal), to the dinner special (tonight it was braised bison with jalapeno grits - outstanding) was excellent. Service was attentive without being over-bearing. I also tried my husband's chicken which he ordered off the main menu, and it was delicious. Our kids ordered salmon and tuna, which they fully enjoyed. We were too stuffed to order dessert but I wish I did. My guess is it would have been as great as the rest of the meal! The ambience was perfect. 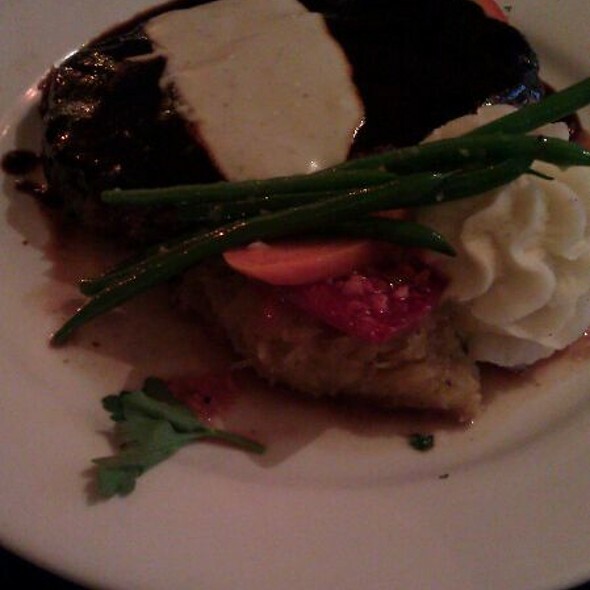 The service was amazing and the server was friendly, professional, and attentive. Excellent food and reasonably priced. 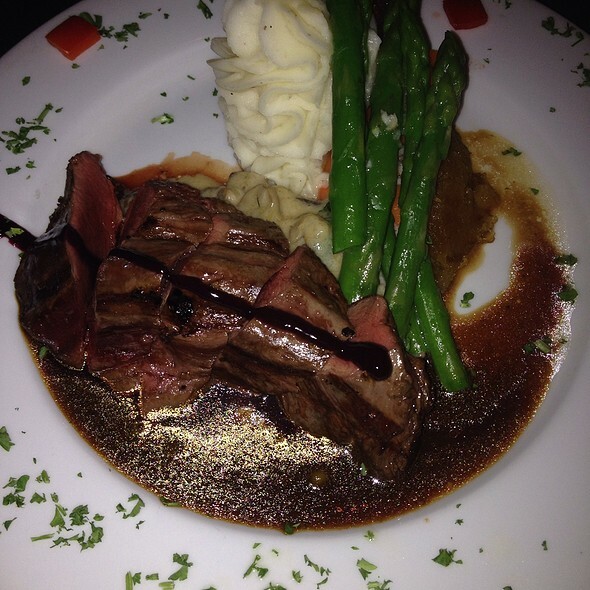 We ordered the chicken and filet mignon and both dishes were outstanding! We are definitely returning here soon! Ordered the pork-belly appetizer which was great. The lamb was excellent as was the steak. They even made a simple pasta dish for our 4 year old. Service was great. My only complaint would be the ambiance. I don't know if it was the furnishings or the lighting but atmosphere didn't seem as good as the food. I'd go back but I'd like to see them do a make over so the restaurant matches with how good the food is. Amazing food, service, atmosphere, everything! We dine here frequently and just love love love this place! Highly recommended for everyone looking for a truly fine dining experience! The food is consistently very good as is the service. One of our favorite places to eat. The food is excellent and the service is outstanding. The menu choices are a little limited, but what they have is amazing. The special Seafood pasta missed the mark for me. First time I have ever left Tiburon disappointed ! I love the food at Tiburon and it never disappoints. What did disappoint was being crammed in a table behind a column and a wall when the restaurant had plenty of open seating. What a pleasant surprise! Tiburón has been around a long time, but we’d never tried it until an Open Table suggestion. The food was very well prepared and delicious and the service was excellent. A nice quiet place for an excellent meal. 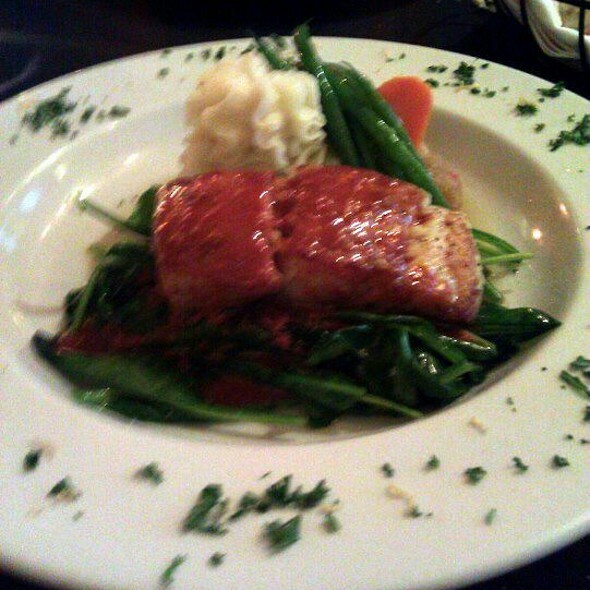 Tiburon always has great service and better food. 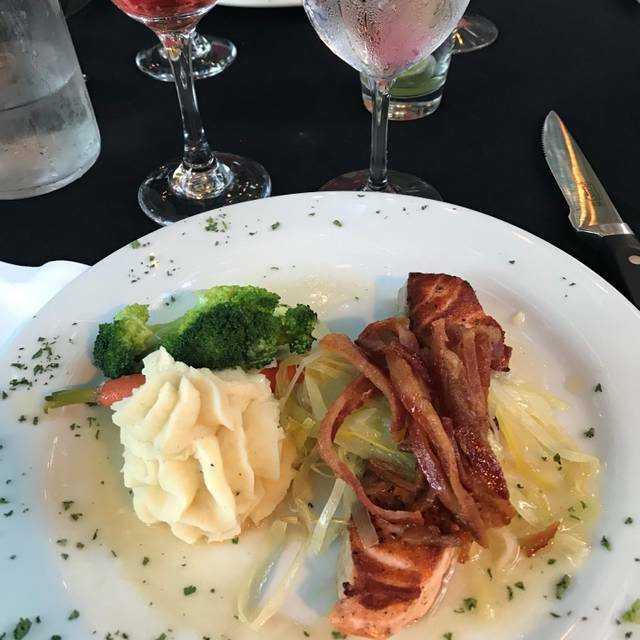 We’ve never been disappointed with a visit to Tiburon. Once again enjoyed our celebration of skiing another year. Always delicious and an evening to look forward to. I didn’t like that my view was of the apartments to the South nor the view of a busy road to the East. Would have been nicer with noise cancelling curtains. The service was excellent, the staff greeted us and seated us immediately. They attended to our needs, always keeping our water glasses full and making sure we had enough bread. The steaks were excellent and cooked just the way we liked them. Be sure to check out their dessert menu, the dark chocolate mouse is the best. The food was tasty and beautifully presented. The service was excellent. The interior was surprisingly elegant. Overall it exceeded my expectations in every way. Delicious food and excellent service. It was our second visit to Tiburon and we will definitely return again. The food is absolutely delicious and Chef Rose is a culinary genius in the kitchen! Probably the best food I've ever had and the atmosphere and staff are just as good! Excellent! Lovely dinner-time with friends accompanied by gorgeous yet tasty food and warmth atmosphere. Would definitely go there again in the future! One of my favorite restaurants, its always fantastic. Definitely would recommend. Excellent, friendly staff and very accommodating. Very relaxed atmosphere and great service!! This is a great restaurant everything is always great. The food was pleasantly surprisingly good. I thought I knew how to cook a pretty good steak, yet no comparison. It was so tender and mouth watering. Really enjoyed our meal. Thank you. We will return. Top notch experience. We were skeptical due to the location but were absolutely floored. The star of the night was the ingredients, you can tell that they work hard to get fresh natural quality ingredients. Glad we found this great spot close to our house. Service was also top notch. We had a party of four and everyone's dinner was perfect. I highly recommend Tiburon. Tiburon is still and always will be our favorite restaurant in Utah. We've been coming for years. Wow Tiburon never disappoints. They have the best service and amazing food every time we go. The food was excellent. Great value for price. Service was timely and courteous. Decor a little dated but would gladly return. Awesome experience and again the food superb. We have been here a number of times over the years and it was predictably good. Seated on time and quick service. Tenderloin was wonderful. The only shortfall I see is the menu selection, which only has 7 or 8 choices. Just one salad, which is good, that is served with their main courses. Also, no soup. So, what they have is good but but the choices are few.